Raymond Walker is well known for his very unusual, almost homely, romantic fantasy tales such as “The River Girls Torment” and “A Shiver” as well as the award winning Moonchild and Other Tales, which have been hugely successful. In 2005 he published his first Ghost Story “A Pale Shadow Creeps” which has a more adult theme and followed it up with the horror novel; The Secret Inside to great critical acclaim. His restlessly original and imaginative stories may be unusual and darkly romantic, but he considers himself very ordinary. He loves the countryside, the forests and the relics of his native Scotland. He loves that he rose from a land steeped in history, myth and fantasy. It can be seen in almost every tale that he has ever told or written. 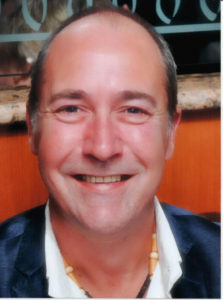 Raymond Walker is the winner of several writing competitions, and his books have received critical acclaim worldwide. Mr Walker is devoting his time to a new epic novel called And The Sea shall give up It’s Dead. The first volume of which has the tentative title of Over the Tears of the Fallen. In the meantime expect to hear shortly of the release of the “Truly Thrilling.” She Wept Black Tears that seems to be a success even before being released, with advance orders pouring in. 1.What made you want to become a writer? I really cannot tell you with any certainty where the transition started. I am an avid reader. I have been since I was a boy and was forced to read a book called “Dietz and Denny” at School. I loved the book and so started to read more and more. The books I read were many and various as I was raised in a small fishing village on the west coast of Scotland that hosted only one small musty smelling bookshop. It was filled with sheet music for bagpipes and tourist tat for the towns many visitors. “Martins” had only one rack for hard backs and one for the cheaper paperbacks that as a schoolboy were all I could afford. So, I read whichever book I liked the cover of. Dickens one week, a space opera by Asimov, the next, Defoe the next. When I hit thirteen, I became an Insomniac and rarely slept, and so my appetite for books became even more voracious. I exhausted both my money and the books in the shop and so started ordering books from the bookshop, but they took weeks to arrive, and so I began to write my own tales. They were half formed but imaginative. I had written my first novel by fifteen (it was terrible), and since then I have always written. 2. If you could have written any other book by any other author, what would it be, and why? There are many books that I wish I had written but one stands out for me more than any other and that is Hyperion by Dan Simmons. The imagination, the classic but cool writing and the fact that years after reading the book I still think about its meaning is what does it for me. I do understand that this book is not for everyone. To me, however, it is almost the empirical ethos of understanding the human race and its flaws. Even now, ten years after reading it, I still think on its teachings. 3.Could you tell us a bit about your most recent book? The Quiet Snow is a rather mystical tale set the mountains of Argyll, Scotland in the depths of a horrendous Winter. It was described by one reviewer as “beauty coming from loss” as it is a sad tale based upon a true story. Much of what you read is true, but I have added my own special twist to this tale. I am the owner and editor of the magazine Mercurial Tales, which is a “seventies” throwback specialist magazine, catering to the speculative fiction, fantasy and horror markets. We do have a website and intend to take it online soon, but at the moment it is purely a print magazine. Along with my small team I run things from day to day and make sure we are on track for each publication. So, I get to do what I like to do read and write. Best job in the world I say (except when we meet the accountants). In only a few months the novel She Wept Black Tears will come out. My first, mainstream fantasy work in a many years. Early next Year, Winters Ghost will be published (I do not have a release date at this time), but it is likely to be Early March in time for the holiday market. And the Sea shall give up it’s Dead will be published on the fourteenth of October next year finally ending the suspense on a much-anticipated release. 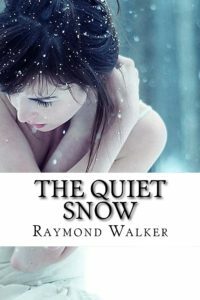 “The Quiet Snow” removes every trace of love from Rob’s life. Guen is gone, then her footprints disappear, then her smell, her body and love vanish; covered with a thin film of falling snow. All trace of Guen is gone and forgotten. But Rob has not forgotten her, She may be missing but he has to keep looking for her, Guen cannot be dead, they would have found a body. She cannot be alive, she would have called me, came home. And So Rob searched the hills and valleys looking for his lost love For years and years. Many years passed in search of the impossible. Rob, started to forget and in letting her go he was to find her again. Hi Jamie and thank you for doing the blog post. Very Kind of you.The article went well, in my opinion, thanks again, Ray. Interesting interview. You have such a warm friendly face Raymond. Love the cover for The Quiet Snow.